CarGurus has 31,013 nationwide Trax listings starting at $6,995. Owning a car in the big city is a considerably smaller challenge since Chevrolet’s introduction of the Trax subcompact crossover ute for the 2015 model year. 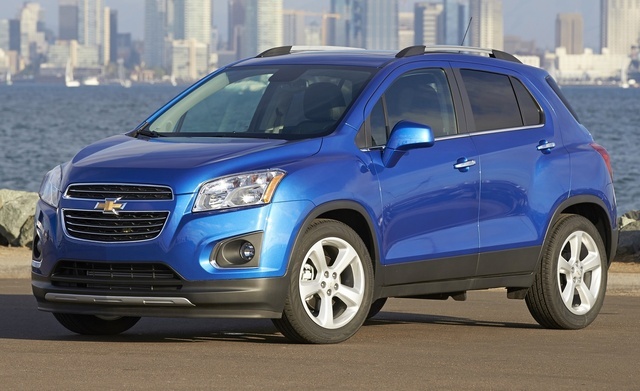 For 2016, the Trax lineup will sport few, if any, substantial tweaks to its urban-oriented looks and demeanor. Chevy also makes no apologies for the admittedly cramped passenger and cargo acreage in this mini-ute, claiming 5-passenger seating capacity. Rear-seat dwellers, however, had better be children, and if you’ve got more than 48.4 cubic feet of stuff to tote with the rear seatbacks folded, you’ll have to get a bigger mule. The folks at GM, by the way, make much of the fact that the company has improved the standard Bluetooth-integrated OnStar telematics with the oft-accompanying MyLink 4G LTE Wi-Fi hotspot and smartphone apps in virtually all its brands in the upcoming year; look for the 2016 Trax to boast these improved systems as well. This little people-hauler is anticipated to again be offered in 3 trims: the base LS, the up-featured LT, and the flagship LTZ. All iterations remain offered with standard front-wheel drive (FWD), but again for the upcoming year, each can be ordered with available all-wheel drive (AWD) for those days when the subway’s snowed in and you just don’t feel like cross-country skiing to work. Alas, the 2016 Trax is not endowed with a heck of a lot of power. The standard drivetrain remains a 1.4-liter turbocharged inline 4-cylinder engine mated with a 6-speed automatic transmission, good for only 138 hp and 148 lb-ft of torque. However, mileage is estimated at a respectable 26 mpg city/34 highway/29 combined in FWD versions of this pint-size Chevy, and 24/31/27 in AWD editions. Beware that these figures are reportedly tough to achieve in real-world driving, according to both owners and reviewers. On a more positive note, owners and the media also agree that the current Trax is fairly well endowed with creature comforts, even in its entry-level LS offering, and the 2016 variants will doubtless carry on this tradition. Look for 16-inch steel wheels on the Trax LS, with higher trims boasting 16-inch alloy wheels. Additionally, cloth upholstery will return standard in the LS, with the LT offering premium cloth seat coverings and the LTZ soldiering on with standard leatherette upholstery. Also slated to remain exclusive in the LTZ are heated front seats with a power-adjustable driver’s seat, while all trims are slated to again come equipped with a standard rear-view camera. Furthermore the entire 2016 Trax lineup is expected to remain delivered with a fold-flat front passenger seatback marginally supplementing its meager cargo capacity, while the full power accessories that come standard in all trims are complemented by heated power-adjustable outside mirrors on the LT and the LTZ. Standard techno-features toted in each iteration should, as noted, include the upgraded OnStar/4G LTE WiFi and apps with the 7-inch display, while the LS and LT will again boast a CD/MP3 player with 6 speakers. The LT, meantime, is expected to return packing standard satellite radio. The LTZ, furthermore, is scheduled to again sport a 7-speaker Bose premium stereo. As for options, the already well-equipped Trax offers few added-cost extras. Lower trims, as usual, are again slated to offer a bunch of features that come standard on higher trims as options, while a power sunroof remains the only notable option lineup-wide. Standard safety equipment for the 2016 Trax stable, meantime, includes 4-wheel antilock brakes, traction and stability control, front side-mounted airbags, front and rear head curtain airbags, daytime running lights, a post-collision safety system, and a remote antitheft alarm. Additionally, OnStar emergency telematics are also expected to return in next year’s variants. Meanwhile, the current Trax gets a perfect 5 stars in government safety testing and a flawless rating of Good in all categories from the Insurance Institute for Highway Safety. Finally, there’s no definitive word on exactly when the 2016 Trax will become available, but the late summer or early fall of 2015 seems a safe bet. Oh, and this pint-size Chevy crossover will again be challenged by Nissan’s quick and sporty Juke, Jeep’s backwoods-ballyhooed Renegade, Kia’s surprisingly competent Soul, and Subaru’s stylish XV Crosstrek. What's your take on the 2016 Chevrolet Trax? Users ranked 2016 Chevrolet Trax against other cars which they drove/owned. Each ranking was based on 9 categories. Here is the summary of top rankings. 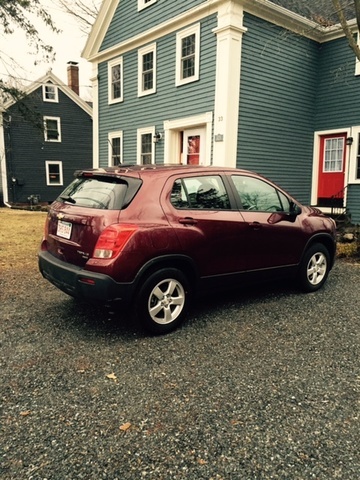 Have you driven a 2016 Chevrolet Trax?